One of my favorite products to use on my hair are masks. My hair needs all the help it can get in the hydration department, and hair masks offer an intense moisturizing treatment that not only leaves my tresses soft, but healthier looking as well. 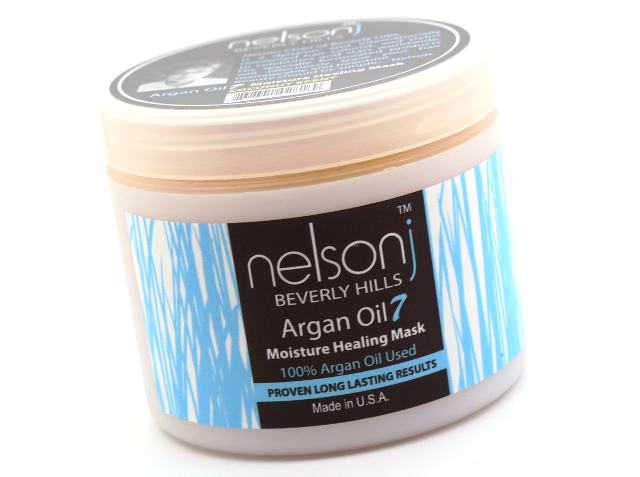 I was thrilled when the opportunity arose to try celebrity hairstylist Nelson J's Argan Oil 7 Moisture Healing Mask. I am no stranger to Nelson J's products-you may remember my review on Nelson J's Argan Oil 7 Non Foaming Shampoo, which I really liked. I had a nice experience with Nelson's shampoo, so I just knew I was going to love this hair mask. Turns out my hunches were right because this hair mask has been a great new addition to my hair care routine. Nelson J's Argan Oil 7 Moisture Healing Mask is 100% argan oil based, and it doesn't contain any parabens, sulfates, or artificial colors. This hair mask is available in three scent choices-rosemary mint, coconut, and pomegranate. I have the coconut one and it smells absolutely scrumptious! The coconut fragrance also lingers in my hair a bit, which I love. This hair mask is rich, creamy, and a cinch to use. After shampooing, I apply about a quarter size (my hair is on the thicker side) of the mask to my towel dried hair from my mid shaft to ends, and I leave it in for 5 minutes. I then rinse the mask out of my hair, and immediately I can feel the softness throughout it. When I use this mask, I find that my hair is so much more manageable. Detangling also isn't such a dreadful experience anymore since my comb just glides through my strands with ease. After styling, my hair looks and feels amazing. It's much smoother, shinier, and it looks healthier to boot. I think it's safe to say that I absolutely love Nelson J's Argan Oil 7 Moisture Healing Mask. Since using this hair mask, my hair has really improved. My hair doesn't even feel as parched for moisture like before, and it feels and looks smoother and healthier. If you have dry hair and are looking for a gentle and intense hydrating treatment, this hair mask is definitely worth a try. I don't think you will be disappointed. 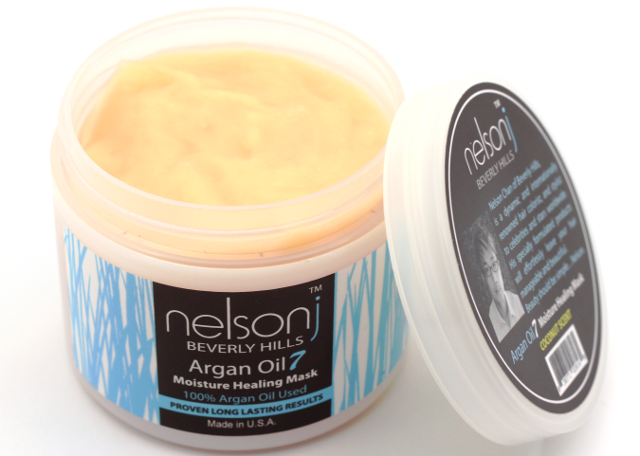 What do you all think of Nelson J's Argan Oil 7 Moisture Healing Mask? Which are your favorite hair masks? Disclaimer: This post contains product (s) provided by PR for review consideration. For more information, please visit my disclosure page.